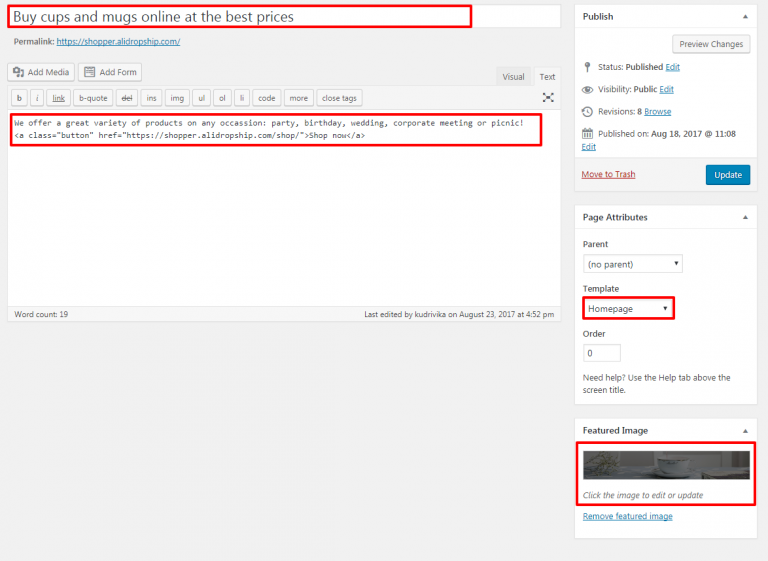 Download WooCommerce theme ‘Shopper’ and install it on your WordPress site. If you set up new pages yourself, or want to change what pages are used for things like cart and checkout, you need to tell WooCommerce which pages to use. Upload a logo of size 235*67 px. 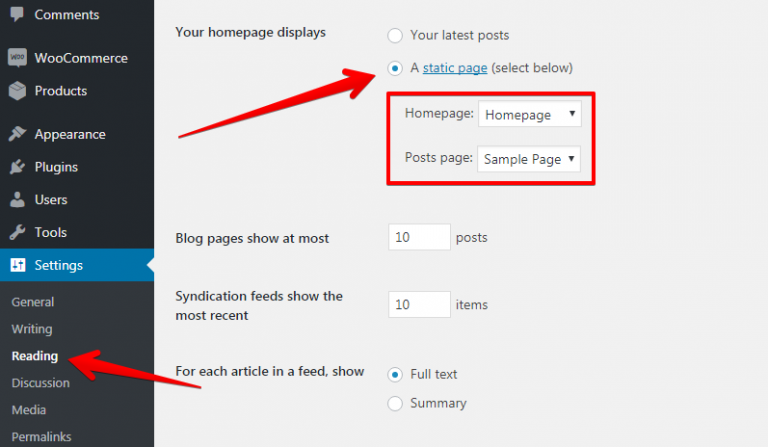 Enter an optional Tagline (A description of your site or motto). Upload a Site Icon (Favicon). Add header image (recommended size: 1950*500 px), set background color, text color, link color, link hover color. 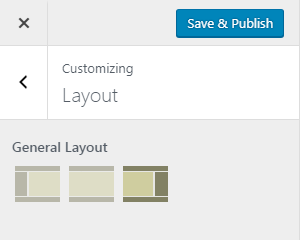 Select ‘Homepage’ template in page attributes, set up Home page image (recommended size is 1920*328 px) in Featured image and click ‘Publish’. Set up background color, widget background color, heading color, text color. 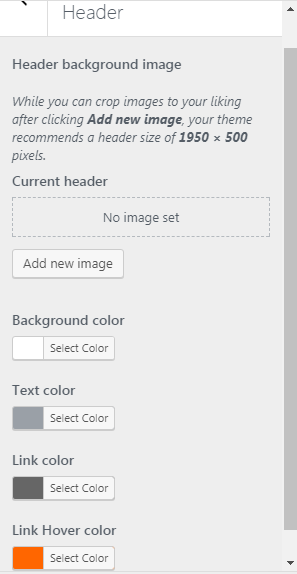 Here you can set a background image, set its position and background color. Set heading color, text color and link / accent color. Customize buttons background color, text color, alternate button background color, alternate button text color. Choose layout you want to use. Shopper supports 4 menu locations: ‘Primary’, ‘Secondary’, ‘Footer’, ‘Social’. 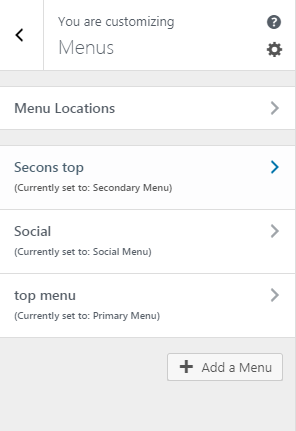 You can select which menu appears in each location. ‘Primary’ menu appears beneath the site logo, before the content. ‘Secondary’ menu appears at the top of the page, above the site logo. ‘Social’ menu appears at the right top of the site, next to the ‘Secondary’ menu. 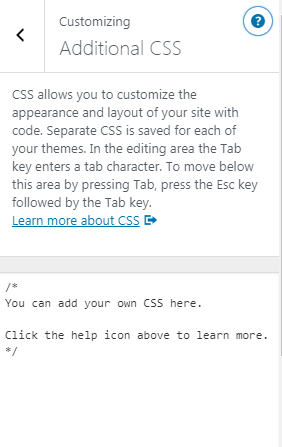 ‘Footer’ menu appears at the footer of the site. 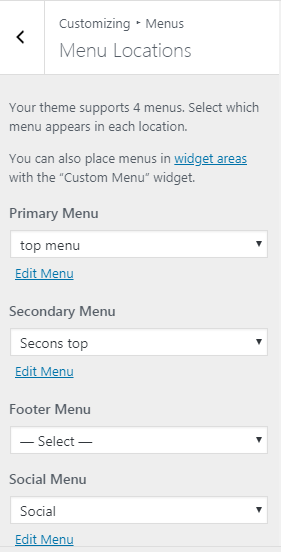 More info on creating and assigning menus to theme locations at: WordPress.org Codex: Menu Guide. Below header: widgets added to this region will appear beneath the header and above the main content. Sidebar: widgets placed in the sidebar appear to the left or the right of the main site content, depending on which layout you chose. Shop Sidebar: widgets added to this region will appear beneath the shop sidebar. Footer * 4: The four footer widget regions are arranged into equal width columns dependent on how many regions are active.